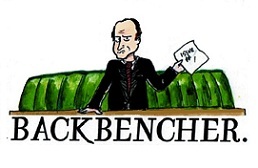 The Backbencher – Will the Irish Border Derail Brexit? 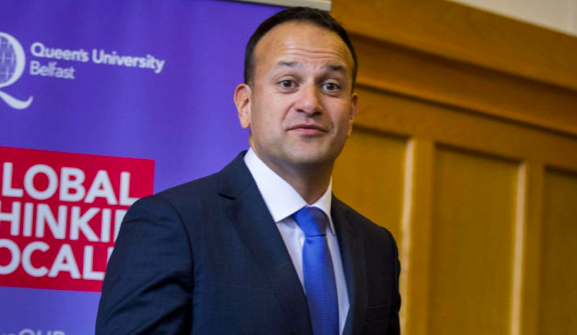 During his visit to Northern Ireland this week, the Irish Prime Minister warned that there was little time for a solution to be found when it came to the Irish border. He is right. The Brexit negotiation deadline is coming up fast. Of all the questions that need to be dealt with the matter of the Irish border is one of the most difficult, and the reason it has become so important is that it neatly brings together all the complexities of Brexit within a single issue. The first is one of the defining issues that surrounded the referendum: Freedom of Movement. Restricting immigration, specifically from the freedom of movement within the European Union, was one the main pillars of the Leave Campaign. In order to do this, there must be some sort of border to stop people from entering the country. This is immediately a problem for those who work in Ireland and live in Northern Ireland, or vice versa. What solution can be found to not impact the lives of these people, or the economies in the region? A hard border is no solution, and the Government has suggested it does not favour this option: ‘We are clear that the border must be as seamless and frictionless as possible for trade, and that we must preserve the Common Travel Area between the UK and Ireland.’ Without a border, however, a Common Travel Area between the UK and Ireland becomes of Common Travel Area between the UK and the European Union. Freedom of Movement now makes it impossible to simply return to a time of the CTA when at the time migration was simply limited because Ireland maintained its own borders. Another possible solution is to maintain passport and visa checks at the airports and ports. There are, however, a number of problems with this solution. The first is on the side of the European Union, this method would leave to door open for any British person – or possibly person in Britain – to enter the EU. This is because a British citizen would be able to travel to Northern Ireland without restriction and without a border, straight into Ireland. Therefore, immigration checks would no longer be reciprocal and in such a difficult negotiation the EU could not accept this politically. On the one hand, every country would want that sort of arrangement; on the other they would not be protecting the integrity of the external border. On top of this, it would require the already strained Border Agency to provide more staff to deal with the extra number of people that would need to be checked. Following on from this, a kind of soft border creates a problem for customs union and single market negotiations. If the border remains much as it is now, goods will be able to pass across the border between Ireland and Northern Ireland – which we must now read the EU to the UK. Can either side in this negotiation afford that politically? If the UK can transfer goods into the EU with no checks, what is the point of being a member of the single market? It negates one of the necessities of EU membership. The EU would also have no control over the standards of good entering the EU, and the UK could then function as a back door trade route for countries such as China or America to bring goods into the EU that are not currently allowed. Therefore, in return for not placing a border, the EU is likely to require the UK to remain a member of the single market or customs union; something alluded to by Michel Barnier. David Davis says that the UK will be out of the customs union and single market by 2019 a continuation of the pledges by Theresa May that the ECJ will no longer have jurisdiction in the UK. Arlene Foster has said she does not want a border on the Irish Sea which would have been a potential compromise, but, alongside this, it seems unlikely that the EU would want an open border between a member state and a non-member state. What solution can solve this dilemma? Both a soft and a hard border appear to be politically incompatible for both the UK and the EU. These complexities are likely to continue to create an impasse, not just in EU negotiations, but between different Northern Irish parties and internally with the Conservative and Labour Parties. Is there a solution that ties together the reality of the situation, the result of the referendum, and the political positions of the EU and the UK government? At this point it seems likely that at least one of these things will be sacrificed. We will wait with baited breath as the Government are soon to release their position papers.